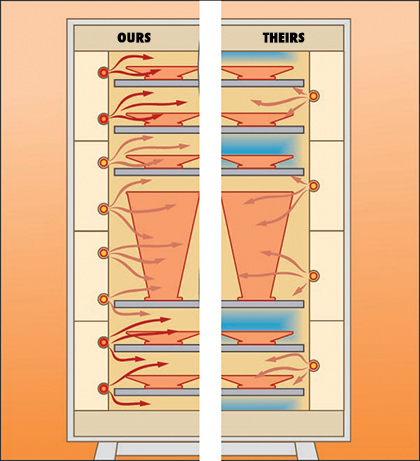 Uses specially formulated pyrometric cones to measure heatwork and turn off the kiln. Skutt purchased The Original Dawson KilnSitter company in February of 2009. All parts are guaranteed original. Individual 3-heat switches on each section allow you to heat up slowly to avoid thermal shock. No more standing on your head in the kiln to replace those bottom elements or removing every brick in the kiln to get to the one you want to replace. 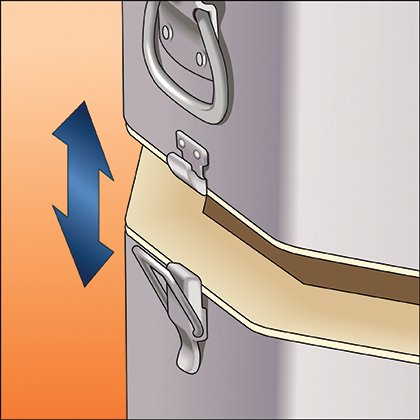 Just disconnect the control boxes, unhook the buckles and place the section you want to work on on a table. Unlike most warranties, ours covers Parts AND Labor. Serviced by the most extensive, knowledgeable and talented distributor network in the industry. Backed by a company whose mission statement is “We help you make great things”. When your kiln is down, you can’t make great things. When you are buying a kiln, you are not just buying the equipment, you are also buying the service that comes before and after the sale. From the moment we cut that first brick to the day you open the box, to the day you are ready to retire it, our reputation is on the line and we take that very seriously.